Do more cyclists make roads safer? Keep the pressure on politicians and planners to provide better cycling facilities and do not simply rely on the increased number of cyclists to make our roads safer. That’s the upshot of a new study by a road safety expert. She’s published serious questions about the popular “safety in numbers” idea that the more who cycle, the smaller the risk each has of crashing. The attractive concept has held sway for two decades and is, indeed, a policy of the CTC. It’s founded on data from cities around the world showing the odds in favour of safe cycling have got better where cycling has flourished. It’s been likened to animals in herds – in bigger groups each individual has less chance of being preyed upon, whether by lions or drivers. Now Dr Nicola Christie of University College London’s Centre for Transport Studies says that while it may work for animals, there’s not enough evidence to say it’s the same for cyclists. “Whether pedestrians and cyclists also benefit from the protective effects of travelling as a herd is yet to be carefully studied,” she writes in the latest issue of influential journal Injury Prevention. She points out a significant flaw with safety in numbers (SIN), revealed by collision data in London where there’s been a big increase in cycling. Yet, notoriously, women cyclists have suffered a disproportionate number of fatalities – so SIN, if it exists, hasn’t protected both sexes equally. 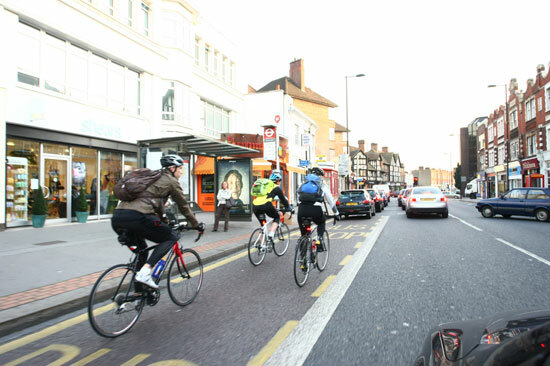 Neither is it likely that SIN is caused by motorists changing their behaviour in reaction to an increase in cyclists, according to Christie and co-author Dr Ian Pike. They say that, in deprived areas, there are many more vulnerable road users because they don’t have access to a car. If SIN was to be true then the risk of injury should be relatively low in these poorer places. It isn’t – it’s actually higher. “Much of this excess risk has been attributed to the hazardous nature of the road environments in deprived areas and changing these has been shown to reduce risk,” say Christie and Pike. The impact of bad roads could be the key to unlocking the secrets of SIN, they say. Any apparent risk reduction is probably because growth in cycling has encouraged cities to make their road networks more cycle-friendly and reduce the hazards. “SIN is likely to represent an effect of significant investment in system-wide measures that encourage walking and cycling because they make it feel safer, such as dedicated infrastructure provision,” she writes. The CTC’s campaigns and policy director Roger Geffen has defended its SIN policy. “CTC has never claimed to know whether increased cycling creates more safety, or the other way round. Still, there are good reasons to suspect the effect could work in both directions – a causal web rather than a single causal link – and that it might therefore be self-reinforcing,” he says. The solution is clear for campaigners. Keep cycling, keep encouraging friends and family to cycle and keep the pressure on national and local governments to invest in cycling. Not to would be a sin. Dr Nicola Christie has worked in road safety research for 25 years, including 16 years at TRL (Transport Research Laboratory), and is a member of Parliamentary Advisory Council for Transport Safety.